The pecan tree (Carya illinoinenis) is a native American tree that loses its leaves in the winter and produces delicious, meaty nuts in the fall. The nuts, known as pecans, are a frequent addition to baked goods and desserts. Pecan trees are not only grown for nut production in large orchards, but also in landscapes for their attractive shape and dense shade. Pecan trees grow to 180 feet tall with large trunks up to 6 feet in diameter. They have an open, spreading growth habit. The 12-to-20-inch long compound leaves have alternate leaflets that are about 6 inches long. The bark ranges from brown to gray and is rough. On older trees, the bark forms large, flattened, scale-like patches. The nuts, or pecans, are produced during the summer and fall from the tree in the autumn. In their native range, pecan trees are usually found growing in an area with deep, moist soil, such as a river or creek bottom. Pecan trees originated in central and eastern North America. The name "pecan" comes from an Algonquin word that describes nuts cracked with a stone. Native American tribes harvested wild pecans and were the first to cultivate pecan trees. 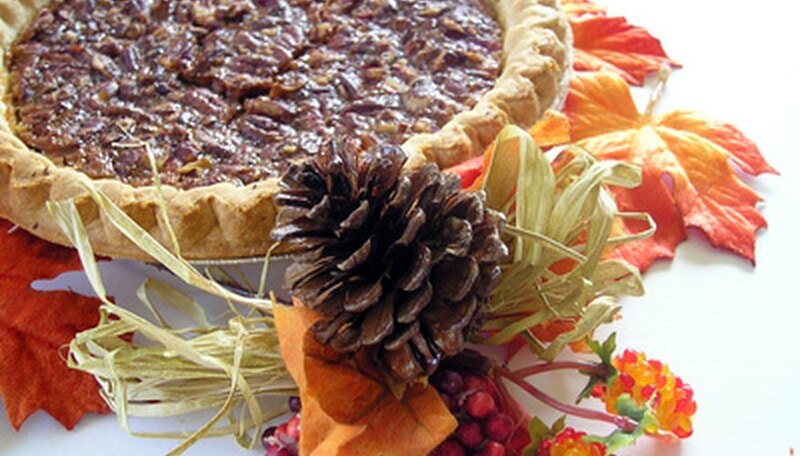 By the 1700s, American settlers were cultivating pecans, and a pecan export business soon followed. New varieties of pecan trees were introduced when the practice of grafting together two trees with superior characteristics gained popularity in the 1800s. Pecan trees naturally grow in warm areas of high humidity. In the United States, pecans have a natural range that extends from central Texas to northern Mississippi and as far north as southern Illinois. They are also found in the central and the northeast sections of Mexico. Pecan trees are wind pollinated. Pollination is the exchange of pollen between trees to fertilize the flowers so the tree can produce pecans. All trees produce both male and female flowers but not at the same time. For effective pollination, it is important to have a tree that first produces male flowers (catkins) planted near a tree that first produces female (pistillate) flowers.. Pecan trees that produce male flowers, or pollen, first are called protandrous, and those that flowers first are called protogynous. Look for trees with cold tolerance and insect and disease resistance. Look for varieties with resistance to scab disease, the most devastating for pecan trees. If you are planting an orchard, you need to know the eventual height and width of your chosen varieties so the trees are not crowded. Pecan trees need sunlight for optimal nut production. Pecan tree varieties known for stronger branches are more desirable for planting in a landscape because they require less maintenance. Varieties of pecan trees that are protandrous, or produce pollen first, are Cape Fear, Pawnee, Onliwon, Desirable, Clark, Moore and Western. Varieties of pecan trees that are protogynous, or flowering first, are Wichita, Kiowa, Elliot, Curtis, Burkett and Candy.